Automating milking is considered one of the last bastions of modern dairy farming - and to automate this task would indeed change the New Zealand dairy industry. In 2001, the DairyNZ Greenfield Project was established with the audacious goal of turning milking into a background activity on dairy farms. 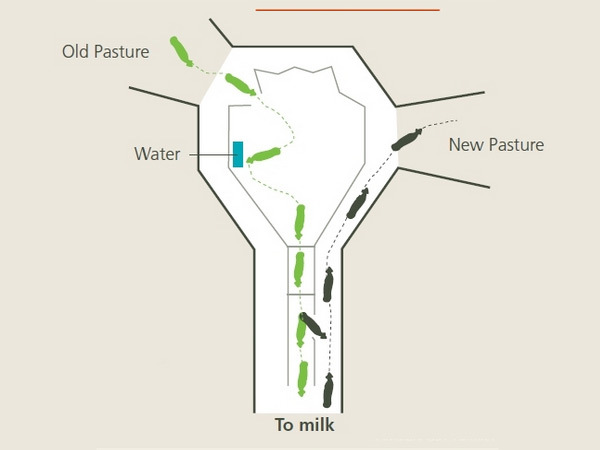 The approach was to develop alternative farm layouts that incorporated internationally developed automatic milking technology and take advantage of the considerable behavioural abilities of cows. The objective was to develop a farming system that reduced the requirement for physical labour and increased the farms productive potential. 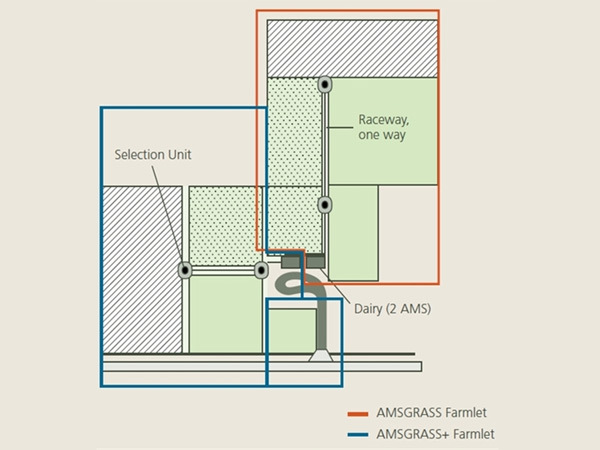 Within the wider automatic farm development, opportunities for productivity gains through automation of other tasks including monitoring milk quality and animal health, fencing, reproduction and herd testing have also been researched. This project has proven that automated milking can be successful within a New Zealand pastoral system but that significant restraints remain in capital and operating costs. 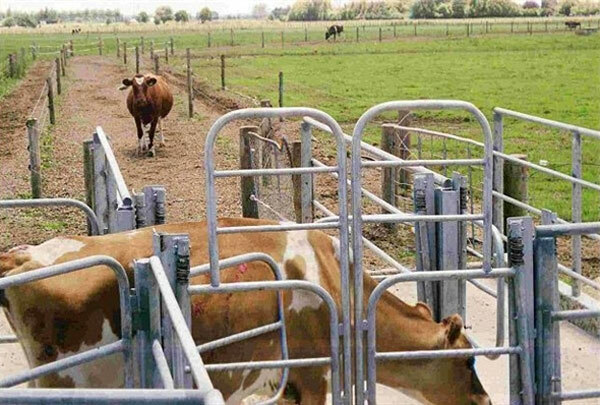 March 2000 - Dairy Research Corporation (fore-runner to Dexcel and DairyNZ) announces its latest Big Hairy Audacious Goal (BHAG) of "Completely automating milking on New Zealand Dairy Farms". April 2000 AGMARDT grants $170k of seed funding and the Dairy Board Global Program approves $100k in co-funding, DRC agree to contribute cows and land to the value of $257k. December 2000 - The project team is established, comprising the late Murray Woolford, Kevin Bright, Peter Copeman, an international collaborator Ian Ohnstad (UK) and a newly appointed scientist, Jenny Jago. January 2001 - A joint venture partnership is established between Dexcel Ltd and Sensortec. February 2001 - Number 4 Grazing Unit is chosen as the site of the new research farm. May 2001 - The project is branded "Greenfield Project". June 2001 - The first robot is commissioned and the first fully automatic milking system in New Zealand begins milking cows. October 2001 - The herd expands to 40 cows. May 2002 - The first remote cow selection unit is commissioned. September 2002 - FRST (Foundation for Research, Science and Technology) agrees to fund $570k/yr for 4 years; Dairy InSight matches funding. November 2002 - The herd expands to 80 cows, and the milking platform expands to 23ha. January 2003 - An International Patent is granted (Selection system and method for milking animals, AO 03/000044 A1). September 2003 - A second robot is commissioned. The dairy is expanded to accommodate offices, labs and visitor seminar room. Herd size is increased to 145 and the milking platform to 43ha. October 2003 - Visit by President Hu Jintao of the People’s Republic of China and Prime Minister of New Zealand, Helen Clark. February 2004 - RMS (Robotic Milking Systems) Ltd is launched - a joint venture company to provide extension and support for commercial adopters of automatic milking. June 2004 - RMS Ltd is awarded Best Site at Mystery Creek National Field Days. July 2004 - The Greenfield Team is presented with the New Zealand Society of Animal Production Innovation Award. September 2004 - A spectrometer is attached to the milking robot and is used to achieve the first online measure of milk composition (in collaboration with University of Waikato and Sensortec). May 2005 - Dairy InSight announces it is reducing funding to $100k and the project is to be wound up – funds are sought internally. June 2005 - Herd size is increased to 180, and the herd is moved to seasonal calving. 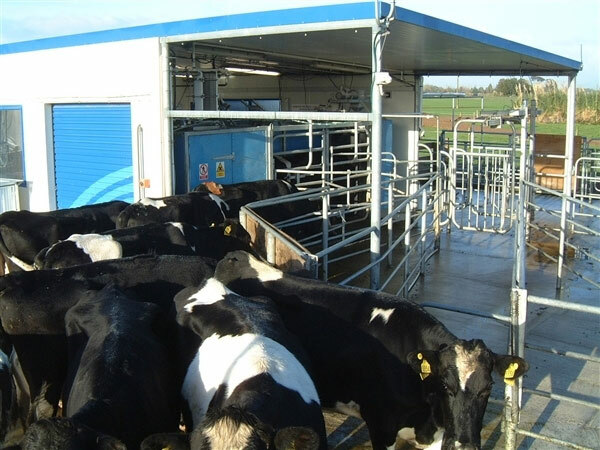 September 2005 - "Bruce," the on-farm fractionation robot, is commissioned and a world-first prototype system for extracting high value proteins from milk on-line is achieved (collaboration with University of Waikato and Sensortec, supported by AGMARDT and FRST). June 2006 - Sensortec Ltd launches “Cellsense®”, the first commercial on-line somatic cell count sensor, developed at the Greenfield site. July 2006 - A provisional patent is filed (Method, system and/or apparatus for selecting cows). October 2006 - FRST funding ends; subsequent proposals are unsuccessful. November 2008 - DairyNZ announces the closure of the Greenfield site.